Arthur Carl Wilhelm Heffter was a German pharmacologist, chemist, researcher and professor. He was born in Leipzig where he finished chemistry studies. After receiving his M.D. degree and doctorate in pharmacology in 1890, Heffter did seminal work on alkaloids derived from the peyote cactus. Arthur Heffter is known as the chemist who isolated mescaline from the peyote cactus in 1897, the first such isolation of a naturally occurring psychedelic substance in pure form by that time. In addition, he conducted experiments on its effects by comparing the effects of peyote and mescaline on himself. He was the first to gain the title of “psychonaut”, because of his willingness to test on himself (bioassay) the chemicals he isolated. 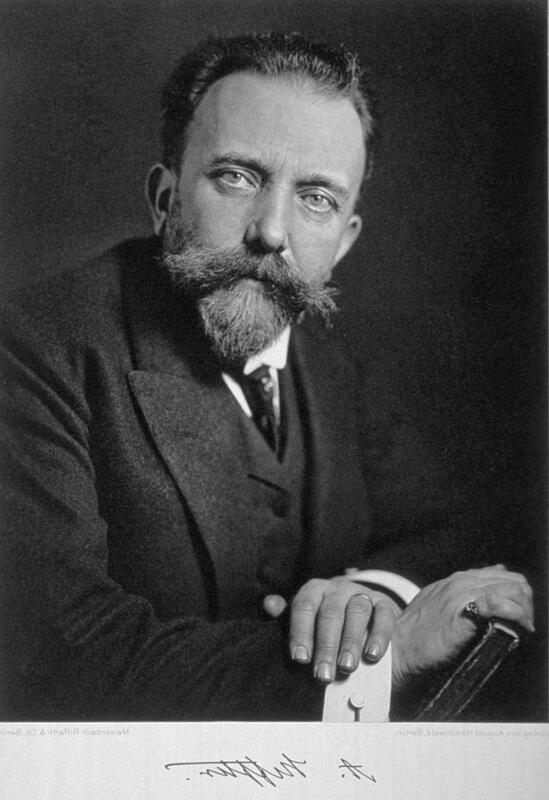 Heffter was the first chairman of the German Society of Pharmacologists, and was largely responsible for the first Handbook of Experimental Pharmacology. Heffter was also Professor of Medical Chemistry and Pharmacology at Leipzig University and University of Bern. In 1993 The Heffter Research Institute from USA was established in honour of Dr. Arthur Heffter. Albert Hofmann was a Swiss chemist, scientist and researcher known best for being the first person to synthesize, ingest, and learn of the psychedelic effects of lysergic acid diethylamide (LSD). Hofmann was also the first person to isolate, synthesize, and name the principal psychedelic mushroom compounds psilocybin and psilocin. He authored more than 100 scientific articles and numerous books. Albert Hofmann was born in Baden, Switzerland in 1906. He graduated from the University of Zürich with a degree in chemistry in 1929 and went to work for Sandoz Pharmaceutical in Basel, Switzerland. Hofmann worked on a study of Claviceps purpurea (ergot), ergot alkaloids and lysergic acid derivatives, eventually synthesizing LSD-25 at first in 1938. After minimal testing, LSD-25 was set aside and four years later in 1943, he re-synthesized it again. At first he accidentally ingested a small amount and few days later he intentionally ingested 250 ug of LSD to verify its psychedelic effects. Hofmann continued to work at Sandoz until 1971, when he was retired. The Swiss Federal Institute of Technology honoured him with the title D.Sc and the Swedish Pharmaceutical Association granted him the Scheele Award. He continued to write, lecture, and play a leading role as an elder in the psychedelic community until his death at the age of 102. Hofmann, interviewed before his hundredth birthday, called LSD “medicine for the soul” and was frustrated by the worldwide prohibition of it. “It was used very successfully for ten years in psychoanalysis,” he said, adding that LSD was misused by the Counterculture of the 1960s, and then criticized unfairly by the political establishment. He adds that LSD can be dangerous if misused. Alexander Theodore “Sasha” Shulgin was an American chemist, pharmacologist, researcher and author. He is credited with introducing MDMA (ecstasy) in the late 1970s for psychopharmaceutical use and for the discovery, synthesis and personal bioassay (self-test) of over 230 psychoactive compounds for their psychedelic and entactogenic potential. After serving in the Navy, he earned his Ph.D. in Biochemistry from U.C. Berkeley in 1954. In the late 50s and early 60s he did post-doctorate work in psychiatry and pharmacology at the University of California, San Francisco and worked as research chemist at Dow Chemical Co. In 1966 he became an independent consultant. Shulgin obtained a DEA Schedule I license for an analytical laboratory, which allowed him to synthesize and possess any otherwise illicit drug. Shulgin set up a personal chemical synthesis laboratory which gave him the freedom to synthesize, research and test the effects of potentially psychoactive drugs evaluated in five books and more than two hundred papers. Although he didn’t invent it, Sasha first synthesized MDMA in 1965; however, he did not try it at that time. In 1976, the effects of MDMA were described to Sasha by an undergrad at San Francisco State University. Finding the compound to have worthwhile qualities, in 1977 he introduced it to Leo Zeff, a psychologist who worked with psychedelics in his therapy practice. Zeff introduced hundreds of therapists to MDMA and word quickly spread outside the therapist community, which later had massive impact in the mainstream and rave culture. Terence Kemp McKenna was an American ethnobotanist, lecturer, author, psychonaut, and an advocate for the responsible use of naturally occurring psychedelic plants. In 1975, Terence graduated from Berkeley with a degree in ecology, resource conservation, and shamanism. In the early 1980s, McKenna began to speak publicly on the topic of psychedelic drugs, becoming one of the pioneers of the psychedelic movement. His main focus was on plant-based psychedelics such as psilocybin mushrooms, ayahuasca, cannabis, and the plant derivative DMT. Terence co-founded the non-profit Botanical Dimensions, with his wife Kathleen Harrison-McKenna, to collect and propagate medicinal and shamanic plants from around the world. He spoke and wrote about a variety of subjects, including psychedelic drugs, plant-based entheogens, shamanism, metaphysics, language, philosophy, culture, environmentalism, and the theoretical origins of human consciousness. He was one of the leading authorities on “the ontological foundations of shamanism”, and the “intellectual voice of rave culture”. The online version of the magazine you can find it HERE.